Does A Refusal To Debate Indicate A Lack Of Integrity? My last post seems to have a touched a nerve with a commentator of mine. In short, I presented an article from Ha'aretz about a young woman who is being told that she's Jewish by the Israeli Rabbinate and being given an impossibly high burden of proof. So you look at Haaretz as the Gospel. If there is one true sentence in that (or any) Haaretz story, it is surely coincidental and entirely unintentional. Yes, the use of the word "Gospel" was not lost on me, but I let it pass. I also let pass the fact that his entire argument consisted of "Ha'aretz can't be believed." Haaretz's say so? Haaretz's accuracy is comparable to Der Strumer. That's the point where I shut the debate down. It is my opinion that if he is truly comparing Ha'aretz to Der Strumer, then he's just not interested in (or not capable of) rational, reasoned debate on the issues. In short, I am a firm believer in Godwin's Law (unless, of course, we're actually discussing Nazis). When someone resorts to reductio ad Hitlerum, then they're no longer debating honestly or fairly. My commentator seems to believe that my shutting down the debate (which barely got started) over this indicates a lack of integrity. I don't beleive so... but I'm willing to consider the possibility that I'm wrong and put this matter up for debate as well. What do you think? Does this indicate a lack of integrity? Ha'aretz published an article today about Hillary Rubin, a 29-year-old Detroit native who was raised in a Conservative household made aliyah four year ago. Today she's a student who keeps Shabbos and kashrus -- and she's looking to get married. However, there seems to be a hangup -- the Rabbinate is asking for proof of her Jewishness. They want kesubos (marriage contracts) and death certificates going back four generations. This is an issue because most of her ancestors perished in the Holocaust. As such, the documents either no longer exist (the kesubos) or never existed in the first place (the death certificates). When she brought this to the attention of the Rabbinate, she was told that it's not their problem. She brought letters from four Conservative rabbis and a Chabad rabbi in Detroit attesting to her Jewishness. Not good enough. In the end, she's going to have to go to Cyprus for a civil ceremony. If you've been paying attention at all, you're no doubt aware of the fact that the Rabbinate has been trying to take greater control of the "who is a Jew" question. They (and other groups around the world, such as the infamous EJF) have tried to take greater control of conversions, seeking to nullify conversions that don't meet their standards (even if they do meet halachic standards that have been used for centuries). However, Rubin's case is different. She is not a convert. The article in Ha'aretz doesn't mention conversions at all. I'm guessing that none of her maternal ancestors (at least as far back as three or four generations) were converts (if I'm wrong, I'm willing to retract that). If so, what we're dealing with here is a case where the Rabbinate is now beginning to question the Jewishness of any person who doesn't come from an Orthodox background. Not more than an hour ago (literally) a friend suggested that I make aliyah. He told me about tech jobs that are opening up there and that it is possible for a tech worker (such as myself) to make a decent living. But I have to wonder -- why should I even bother considering it? My parents were not frum when they were married. As such, they did not have a kesubah. Furthermore, all my grandparents were born in New York. As such, their birth certificates and marriage certificates don't identify them as Jews. So, in the end, what proof do I have that I'm Jewish? Mind you, *I* know that I'm Jewish because I know my personal family history -- but the Rabbinate doesn't know that. Why should I make life difficult for myself and my kids -- where our very Jewishness is going to be questioned and probably cause troubles later in life? You might make the argument that I'm already married and, hence, don't need to worry about marriage restrictions for myself. That's true, in and of itself. But I'm afraid the problems run far deeper than that. Demographic studies show that the two largest growing population groups in Israel are Chareidim and Arabs. There is a good possibility that there will be a point when the Chareidim are the majority in Israel and fully control the government. When that happens, they'll have control over far more than simply marriages and conversions. What about citizenship? If I'm to move to Israel, what's to stop them from asking me for proof of my Jewishness on pain of being stripped of citizenship? What about burial? The last thing I would want to happen right after I shuffle off the mortal coil is to have a government tell my kids that I can't be buried where they want to bury me because I couldn't prove my Jewishness? And I would not be surprised if these issues were limited to marriage, citizenship and burial. Call me paranoid if you like, but I think that this has the potential to be a nightmare for every non-Orthodox Jew and every ba'al teshuva who might one day dream of living in Israel. About six months ago, I wondered if I was truly Orthodox. Perhaps the better question I should be asking is if I'm even Jewish. American Rabbanim Being Silent on the Giyur Bill. Why? That's what a YWN Coffeeroom poster wants to know. Tonight the government decided to postpone by 6 months a crucial Geyur Bill that would have strengthened the hand of the Rabbanut HaRashit and helped to halt Reform and Conservative "conversions" from creeping into Israel. HaGon HaChacham Shlomo Amar shlita even demanded that the religious parties quite the government should the bill not pass. The reform and conservative movements in the US waged a serious battle that lead to the postponement of the bill, but for some reason the Orthodox movements outside of Israel remained more or less silent. As a person living in Israel I cannot understand this! We cannot allow the reform and conservative "conversions" to reach Israel, we are the last place standing. I gave an answer, but the moderators decided it was too... whatever... to put up. So here it is. Why should most American Rabbanim support a bill in Israel that will delegitimize most of the converts that they create? Do you really think that they will stop with simply questioning the conversions performed under Conserative or Reform auspices? This will affect large numbers of Orthodox rabbis, too, who aren't on the list of acceptable rabbis. So, why should American Rabannim support a bill that will throw the lives of thousands of legitimate converts into turmoil and limbo? WIY, I agree with you that secular newspapers or magazines are sources of tumah. THEY ARE TUMAH. Who would want to bring tumah into their house? The above quote is from a thread over in the Yeshiva World Coffeeroom. And the above quote irked me. Not because the poster thinks that newspapers or magazines are unclean. Nor is it because they want to keep their houses "pure." Nor is it because the poster is using "tumah" in an incorrect manner to refer to something that should be avoided hashkafically rather than the correct, halachic definition of tumah. The reason why this post irks me is because the poster doesn't know how to use the words tumah or tamei. To be fair, it's not the poster's fault. I know lots of people who do the same thing and, no doubt s/he simply picked it up from his/her environment. And, again, to be fair, there are lots of worse things that one can do than mix up the terms tumah and tamei. But still, every time I hear it it grates on my nerves. It's really fairly simple. Tumah is the "contamination" (yes, it's a horrible translation, but it's the best one I can think of off the top of my head) that is caused by various sources such as a dead body, certain bodily emissions, some dead animals, etc. The rules regarding which items transmit tumah and which items can become tamei are complicated and beyond the scope of this post. The point, however, is this: tumah is a noun. Tamei is an adjective. An item or a person can become tamei. Things that are tamei can transmit tumah. They cannot, however, become tumah. Tumah cannot be touched or felt -- it's strictly a spiritual, halachic construct. Saying that something is "tumah" is akin to saying that a light bulb is light (in the photonic, not massive, sense) or that a loudspeaker is noise. Yeah, I know it's a nit-picky issue, but it's a long-standing pet peeve of mine. Labels: minor pet peeves, tumah. I work close to the Hudson River in Manhattan and often go there to take pictures. Many of the pictures that I put on this blog were taken in Hudson River Park. In the park there is a dog run where dog owners can take their dogs to play. While there, the dogs get to run around, frolic in the pool on hot days and chase balls thrown by owners. I snapped this shot while a woman was tossing the ball around for the dogs. For my other photos, click here. Is This Sefer Really Necessary? 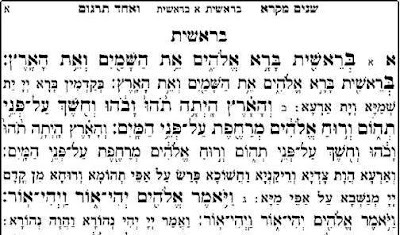 It is brought down in many Jewish sources that it is praiseworthy (perhaps obligatory) for a person to read "Shnayim Mikra V'Echad Targum" (SMVT) each week. In short, it means reading (over the course of the week) the weekly Torah portion twice and the Aramaic translation/commentary by Onkelos once. While my own record in this regard is so-so at best (as a Ba'al Kriah I never miss shnayim mikra. It's the echad targum that I'm not always so good about), it is, IMHO a good practice. That doesn't mean, of course, that it can't become the source of nonsense. Most chumashim that are sold in Judaica stores have the Onkelos translation/commentary already contained within the volume. Thus, a person can go to almost any Orthodox shul and easily be able to read SMVT. Just about every Orthodox home has a chumash with the Onkelos in it. If travelling, a person could easily carry a chumash with the Onkelos translation in it -- there are hundreds of different types available on the market to choose from. And yet, someone felt the need to publish a special volume for SMVT. I actually saw one in a shul in my neighborhood recently. You might ask what is a SMVT volume? Very simply, it writes each verse out twice followed by the Aramaic translation. See the sample below. Can someone please explain to me why this is necessary at all and why a regular chumash with Onkelos just won't suffice? About the only benefit I see is that you don't have to keep your place in the Onkelos as you would with a standard chumash -- but come on! And even if that's the main draw, is there anyone so lazy that upon finishing reading a verse, they can't just go back and read it again without having it printed in front of them again?! I don't usually put up memorial posts for people who have died. When a famous or infamous person dies, there are usually enough bloggers out there who can put the person's life into perspective far better than I can. However, not everyone that passes away is famous or infamous -- and sometimes the person who dies is someone who was an important influence on my life. Until now, the only time I composed such a memorial post was for my first-grade rebbe, Rabbi Nachman Mandel when he passed away in 2008. Unfortunately, the time has now come for another such post. Last month, Dr. Sandra Shimoff of Baltimore passed away at the age of 68. Dr. Shimoff was an instructor in the Judaic Studies department at UMBC, where she worked alongside her husband, Dr. Eliot Shimoff, who was a professor of psychology. She earned a Ph.D in aggadic literature. She taught herself both Greek and Coptic in order to better understand historical texts in their original languages. Her work was published in scholarly journals in her field. She completed learning Shas (the Babylonian Talmud) three times over* -- a feat that many men do not accomplish even once in their lives. But I don’t want to talk about her intellect or her academic accomplishments. She was born in New York in the 1940s to non-observant parents. In fact, having known her parents, I can say that they were certainly not neutral about Orthodoxy -- on the contrary, their biases leaned against it. Nonetheless, at the age of twelve, she decided to embark on a journey to Orthodoxy on her own. Her parents reluctantly gave permission for her to attend a yeshiva high school, provided she arrange for the transportation on her own. She acquired her own sets of dishes, pots, pans and cutlery in order to be able to keep kosher in a non-kosher home. I don’t know for a fact, but I would imagine, that Shabbos (and certainly Pesach) were sources of tension in the home as she stuck to her religious beliefs. She went on to a Jewish college and ended up as an observant woman running an Orthodox home raising four children in the Orthodox tradition. They raised a family with a love of Torah, Yiddishkeit and Eretz Yisroel (so much so that one of her sons made aliyah with his family). But I don’t really want to discuss her incredible life journey either. Instead, I’d like to (perhaps selfishly) talk about how she affected my life. Twenty five years after Dr. Shimoff grew up in a non-observant home, I was doing the same in Queens and later in New Jersey. As it turns out, my parents and the Shimoffs happened to know each other fairly well. As a result, my sister Skipper and I were often invited to spend time with the Shimoffs and their family in Baltimore, usually over Pesach when we got to join the family at the seder. In fact, my earliest memories of the Pesach seder are of the sedarim in the Shimoff home. I still remember those sedarim -- the songs they sung, the warm family atmosphere, the foods and, of course, Dr. Eliot Shimoff searching for the afikomen** (the highlight of the seder for any little kid). Although I didn’t know it at the time, the time that I spent in the Shimoff home would mean far more to me than songs and matzah and afikomen presents. The Shimoffs were the very first Orthodox family that I knew. Aside from the Shimoffs, my parents generally didn’t hang around with many Orthodox Jews. While Rabbi Mandel (my first-grade Rebbe) was perhaps the first Orthodox role model whom I got to know on a daily basis, what I did not (and could not) learn from him was what Jewish family life was all about. He could teach me about a Yom Tov, but he couldn’t show me firsthand how a Yom Tov is celebrated with family. That lesson was provided by the Shimoffs. While teachers may have given me some of the educational tools to learn Judaism as a child, the Shimoffs showed me how to apply it to daily living. Of course, at the time, I was too young to understand that -- but their example remained in my head as an ideal for how to run a Jewish household when we later did become frum. My parents separated when I was nine years old. About six months after they separated, my mother decided to become observant. She called in Skipper and I and asked us our opinion*** on the matter and whether or not we wanted to become Orthodox. We both said yes, but, at least for me (I can’t speak for Skipper), one of the factors in the decision was the fact that the Shimoffs showed me that being frum didn’t just mean no TV on Saturday or no more non-kosher food. The Shimoff kids never had a problem (that I, as a ten year old knew of) with being restricted on Shabbos. I never heard the Shimoff kids complain about missing out on a McDonalds burger. In short, the Shimoffs showed me that you could be religious AND be normal at the same time. They showed me (at the level of a ten year old, of course) that you can be observant and not have life seem boring or restricted. As a teenager, I went to a very right-wing yeshiva****. You know the type -- where they put forth the message that going to college will ruin you completely and that if you get a secular education than there’s no way that you can ever properly learn Torah. I always knew that their approach was wrong. Perhaps because I started out not frum and because the vast majority of my family was not frum, I was well aware that most of what they espoused about the “outside world” was false, including their beliefs about college and secular education. But perhaps the best example I had, the one that I could always fall back on as proof that you can be college-educated and lead a Torah-observant life, was that of the Shimoffs. They showed me that it was possible to synthesize a Torah-observant lifestyle and a secular education -- and still be shining well-respected examples in the community. It’s been about six years since Dr. Eliot Shimoff passed away and I often think back to his warm personality and wisdom. I cannot recall ever hearing a single person ever saying a bad word about him. I remember clearly when, in an internet posting on a Usenet group, he once described how, as a psychologist, he was very driven by data. In some ways, I adopted that ideal for myself and now, when discussing various matters, I often try to focus on the available data when making conclusions. And now, his wife has passed away too. I don’t know if they ever truly knew the effect that they had on my life and my mother’s life (and, I strongly suspect, Skipper’s as well), and it’s perhaps to my shame that I never really told them. But they did have a very strong influence on me -- one that will be felt for the rest of my days and in the lives of my children and beyond. ** The custom in the Shimoff home was that the kids hid the afikomen and then the adults searched for it. One year, we hid it under a couch cushion. As it came time to look for the afikomen, Dr. Eliot Shimoff got up, looked around the living room and then eventually began pulling up the cushions on the couch. He eventually pulled up the cushion where the afikomen was hidden. You couldn’t miss the white afikomen bag against the dark fabric. Yet he just put the cushion down as if he never saw it, continued searching for a few more minutes and eventually gave up. *** Looking back on it now, as an adult, I am truly awed that my mother asked us -- at the ages of nine and six -- what we thought about it. She might well have been within her rights to say “this is the way we’re doing it, the end,” but my Mom was (and is) a truly remarkable woman who would never think of forcing anyone -- even a child -- into such a life-changing decision without getting their input on the matter. **** Don’t ask why I went to such a school. It was not of my choosing and our particular circumstances made that school the only option. This past Shabbos, the Wolfish family attended a Bar Mitzvah. It was a very nice simcha and we had a good time. Going to a different shul for shabbos actually gave me an rare opportunity to listen to someone else lain the entire parsha. 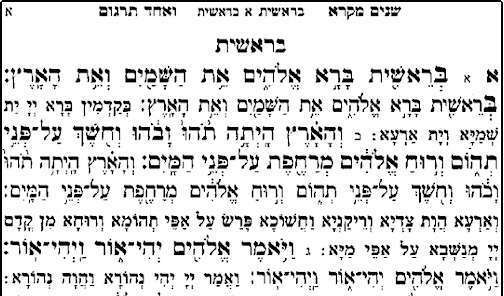 The ba'al kriah at the shul we went to was a fifteen year old kid (the bar mitzvah boy didn't lain the parsha). He had poise and wasn't afraid to be loud enough to be heard -- a common failing of young ba'alei kriah. One thing he didn't have going for him, however, was experience. As a ba'al kriah, I've often found that the hardest portions to lain were those that had repeating passages, but with minor variations in each iteration. For example, consider the Nesi'im in Parshas Naso. There, the same set of verses is lained over 12 times, with the only changes being the names of the tribes and the leaders. Otherwise, they're all identical* in terms of wording and trup. That makes it fairly easy for a ba'al kirah. However, in Pinchas, there are two sets of parshiyos where there are multiple iterations of a similar theme, but with enough difference between each iteration that, if you're not very careful, you can easily get mixed up. That, sadly, is what happened to this ba'al kriah this past Shabbos. He made a fair number of mistakes that would likely not have been made in a straight narrative portion. As he was struggling his way through the parsha, I understood very well what he was going through. After all, I was him twenty-five years ago. When I was his age, I made the very same types of mistakes. I had similarly disastrous readings. So, I knew very well what he was going through. Listening to him was, in some ways, kind of like listening to myself lain many years ago. Of course, over the years, I've gotten somewhat better at laining. Thank God, I no longer have weeks like he did. That's not to say that I never make mistakes -- of course I do -- but I haven't made as many as he did in one week in a loooong time. After davening, I took some time to talk to the kid. I told him that I thought he did pretty well but that he could clearly use some improvement. But I also told him that I'm fairly good at it now and that, at one time, I was at his level of skill (and had weeks like he just had) and that, with hard work, perseverance and experience, he would get much, much better. I think the kid has a future in the field. * Yes, I'm aware the first two are *slightly* different.